The soft wind blows against my face as I sit here on the terrace. I can hear the humming of the birds as they rest on the branches of the tree. 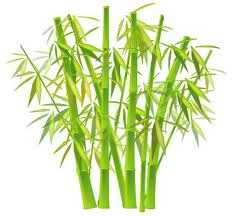 Not far from here, I can see the tall grasses we call bamboos---swaying to the tune of the wind. I don't know how long I stared at those bamboos. I just realized that I was looking too long when my eyes started to hurt. The wind blows again, this time a little harder. I heard the rustle of the bamboos' leaves. It was like music to any living creature who hears it. I saw how their bodies swing to follow the path of the wind. Then I thought, I envy those bamboos. They may not be the strongest thing on earth; but they can withstand the force of the wind---simply by following where it leads them. I gently closed my eyes and reminisced the things that happened for the past few years. I realized how much hurt I carried with me that I forget how to be happy. I mean, how to be 'HAPPY-HAPPY'; no hidden sadness which might resurface every time I laugh or even smile. I held on to a promise that was never real. I believed something that isn't worth believing in. I kept memories that never really happened. (parang siraulo lang nuh? hehe) I waited...for years...for someone that's never been mine. Worse, I didn't follow the path where the wind leads me. I fought it hard, thus I was broken. Pain after pain. Hurt after hurt. Days passed and I was able to create walls even I couldn't break. I've been overprotective of myself for the fear of getting hurt all over again. So I'm letting go of all the things that relate to the word 'LIES', which I use to collectively refer to the past spent with you. This is the last time I'll write about it. This is the last time I'll say goodbye...to you...to your lies...and to all the memories we [didn't] shared. I'm ready to embrace what is here and what is now. I will fearlessly open my heart to somebody who deserves my love. I'll do my best to follow the path God designed especially for me...without once looking back. Happiness is an option, and it is up to you to make the choice. I am glad that you chose to be happy. We replay past mistakes over and over again in our head, allowing feelings of shame and regret to shape our actions in the present. We cling to frustration and worry about the future, as if the act of fixation somehow gives us power. Everybody can end up happy but sometimes it takes time and patience but in due time, if you don't get what you deserve, you may have something better. Very inspiring. I love it. Don't worry about past relationships..There are so many fishes in the sea..
We all deserves to be happy. Let the negative thoughts out of your mind. every pain makes you stronger. Been there, done that. For me, happiness is NOT an option.